I am so so pleased to be a part of this International Blog Tour hosted by Penguin Random House International as a #partner. My post was supposed to go up yesterday but because I was very very sick, I simply wasn't able to complete designing the quote graphics you'll find below for this post and hence, wasn't able to post! Still, despite the day long delay, I hope you enjoy my review and graphics for this AMAZING book, and once again, thank you to PRH International for the free book for this tour. Blurb Description: This is Noah Oakman → sixteen, Bowie believer, concise historian, disillusioned swimmer, son, brother, friend. 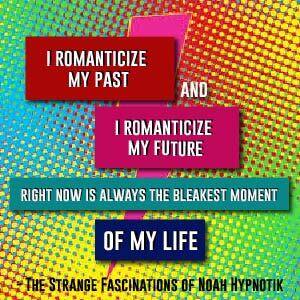 The Strange Fascinations of Noah Hypnotik is hilarious, and whimsical, and bizarre, and quirky and reading it was a wild ride that I questioned at times, but ultimately fell in love with. 1. 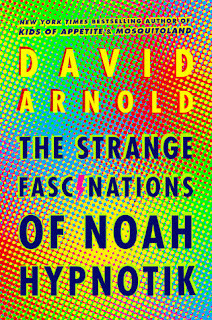 David Arnold’s writing: If David Arnold’s writing wasn’t as quirky and bizarre and just in general, as STRANGELY ELOQUENT as the plot itself, this entire book would have fallen flat for me. I absolutely loved the way he found connections within the most unconnected things, brought out the teenage experience and made me laugh out loud and shake my head in wonder at the same time. THIS BOOK HAS SOME SERIOUSLY PECULIAR YET STUNNING WRITING. thought it was worth mentioning separately. 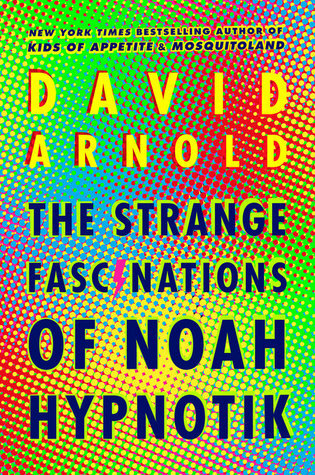 I absolutely loved how this book’s narrator, Noah, created these ‘concise histories’ connecting himself to the world at large through seemingly random dates and pieces of information. 3. Alan and Val: IF THESE AREN’T THE BEST PAIR OF BEST FRIENDS/ TWINS EVER, I DON’T KNOW WHO IS (Par only to Fred and George Weasley.) I loved Alan and Val as individuals, as siblings and even as friends to Noah. They were all kinds of awesome. 4. Penny (AKA THE MOST ADORABLE SISTER EVER): I ABSOLUTELY ADORE SEEING LITTLE SIBLINGS IN BOOKS. And Penny, with her Audrey Hepburn phase, her overuse of the word ‘darling’ and her daring, up-for-anything attitude. b) His parents (make two GENUINE, KIND HEARTED ADULTS who struggle a little to make ends meet PAY FOR FLIGHT TICKETS TO NEW YORK TO ‘VISIT’ A COLLEGE HE HAS NO INTENTION OF GOING TO? JUST SO HE CAN MEET SOME RANDOM WOMAN? So, that’s it. 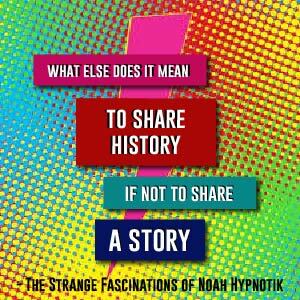 IF I had like the protagonist better, this would definitely have been a five star read for me, but at the end of the day, I really did like The Strange Fascinations of Noah Hypnotik. David Arnold lives in Lexington, Kentucky, with his (lovely) wife and (boisterous) son. 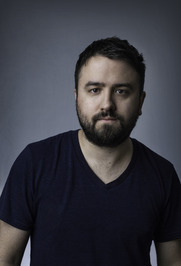 He is the New York Times bestselling author of Mosquitoland, Kids of Appetite, and The Strange Fascinations of Noah Hypnotik; his books have been translated into over a dozen languages. Learn more at davidarnoldbooks.com and follow him on Twitter @roofbeam and Instagram @iamdavidarnold. 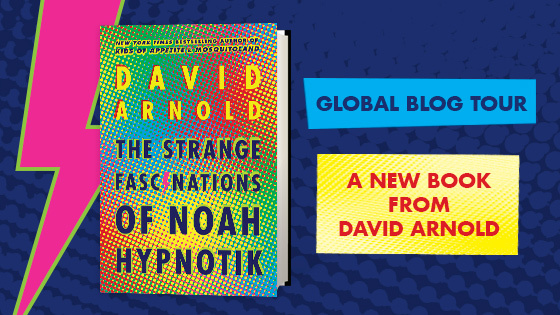 Have you read any of David Arnold's books? What do you think of them? I'd absolutely love to hear your thoughts on my quote graphics, if you can spare a moment!